A living trust is a powerful tool when it is drafted and funded appropriately. In fact, this has become one of the most common estate planning tools available today. A living trust can give you greater peace of mind that your wishes will be followed after you pass away and ensure that your financial affairs remain private. There are 11 primary steps to establishing a living trust. • List out the assets and decide which of these you will include in the trust. • Gather all of the paperwork, such as life insurance policies, stock certificates, and deeds of property to fund the trust. • Determine whether or not you will serve as the sole grantor. • Choose the beneficiaries that you wish to receive assets. • Choose a successor trustee in the event that the original trustee is no longer alive to step into this role. • Choose someone to be responsible for managing property for minor children. • Establish the trust document. • Sign and notarize the trust document with the help of an estate planning attorney. • Store your document in a safe place. • Make sure that your living trust stays up to date as changes in your individual circumstances warrant updates. 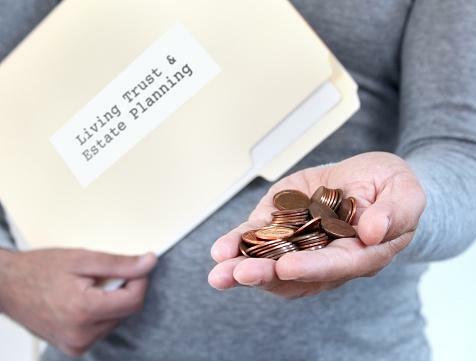 If you are curious about how a living trust works and how you can make sure that one protects your best interests, schedule a consultation with an estate planning lawyer in Pasadena now.